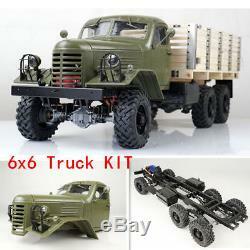 Kingkong RC 1/12 Scale CA30/ZISL-151 6x6 Soviet Truck with Metal Chassis KIT Set x 1. Do not Include Electronic equipment. Such as Motor ESC Battery Charger Remote Control. 2 Zavod imeni Stalina in 19471958. 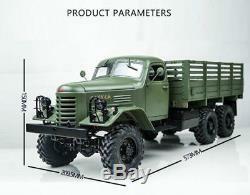 In 1956, the factory was renamed to Zavod imeni Likhacheva, and new trucks were called ZiL-151 (-151). The ZiS-151 was the first major Soviet military all-wheel-drive truck built following World War II, replacing the imported U. Studebaker US6 and the earlier Soviet ZiS-6. In early 1948, the cabs were made of wood, soon replaced with a steel cab. Tens of thousands were produced, including specialized versions for hauling different types of cargo. 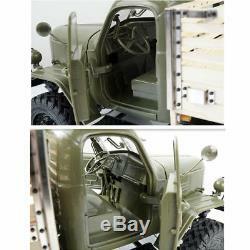 The Soviets also found the trucks an ideal platform for BM-13 Katyusha rocket launchers. The most famous developments of ZiS-151 were the BTR-152 armored personnel carrier and the BAV 485 amphibious vehicle. In 1958, an improved model, the ZIL-157, was introduced. It differed outwardly by its grille and having single rear tires, instead of the ZiL-151's dual tires. Both models remained in production side by side until 1966. In 1956, the Chinese began license building the ZiS-151 as the Jiefang CA10 at First Automobile Works, with slightly more power and angular front fenders. The improved single tire CA30, introduced in 1958, remained in production until 1986. 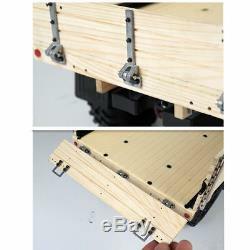 TIPS: This item is a KIT version after assembled just like first 5 pictures, so you have to according to the product instruction to assemble the cab, the bed, and the chassis. 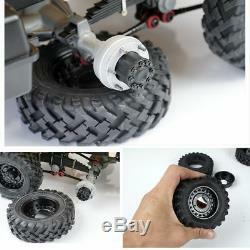 And the last 7 ad pics just for an example, not include the truck canopy rod and the upgraded tire. (Please note that the instruction language is Chinese, but please don't worry, it has detailed assemble pictures). TIPS: this truck does not include the servo, ESC, remote control, motor, battery, and battery charge, you have to prepare them for yourself. And the material of the truck cab is ABS hard plastic and painted with green color, and it is easy to be re-painted and electroplated, and the hardness is very strong. 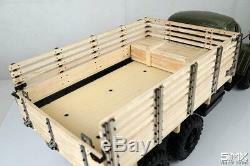 The truck bed is made of wood, it is more realistic and more fantastic, it also is very easy to be painted and customize more details. 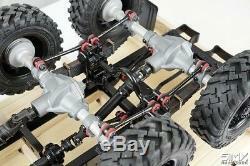 Most of the material of the truck chassis is Metal. So the quality is super strong. And it includes the realistic ladder frame chassis, front axle, rear axle, leaf spring, suspension kit, transmission, wheel, tire, and so on parts. We think you according to your idea to build a truck you want. Material: ABS hard plastic, Wood, Aluminum Alloy+Zinc Alloy. An exact replica of the full-scale truck. Easy to be painted and electroplated. Color: Primary Color as like the first picture. Final Transmission Ration: 1:21. 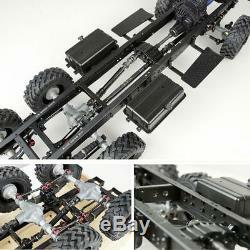 Realistic Metal Ladder Frame Chassis. Total Length: 22.56in / 573mm. Body Width: 8.25in / 209.5mm. Total Height: 8.307in / 211mm. Wheel Base: 15.945in / 405mm. Total Weight: About 12.39lb / 5.62kg. Cab Wheel Trims: 7.31in / 184mm. Both the doors and the hood (bonnet) of the truck cab can open and close. All the doors of the truck bed can put down and put up. Tips: The parts of the truck will be available in the future. 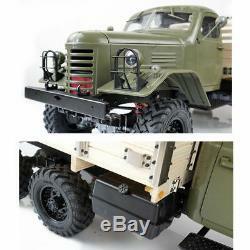 The item "Kingkong RC Car 1/12 CA30/ZISL-151 6x6 Soviet Climbing Truck Metal Chassis KIT" is in sale since Wednesday, October 10, 2018. 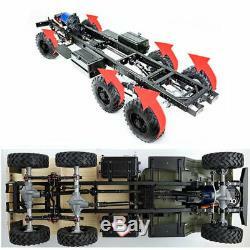 This item is in the category "Toys & Hobbies\Radio Control & Control Line\RC Model Vehicle Parts & Accs\Body Parts & Interior\Cars, Trucks & Motorcycles". 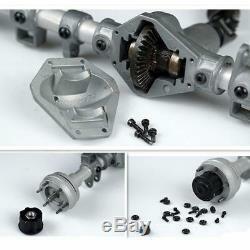 The seller is "hjiv5764" and is located in . This item can be shipped to United States, all countries in Europe, Canada, Japan, Australia.